With spring comes budding trees and plants, blooming flowers and changing temperatures. It’s also a time when people begin to organize and de-clutter clutter the space around them. 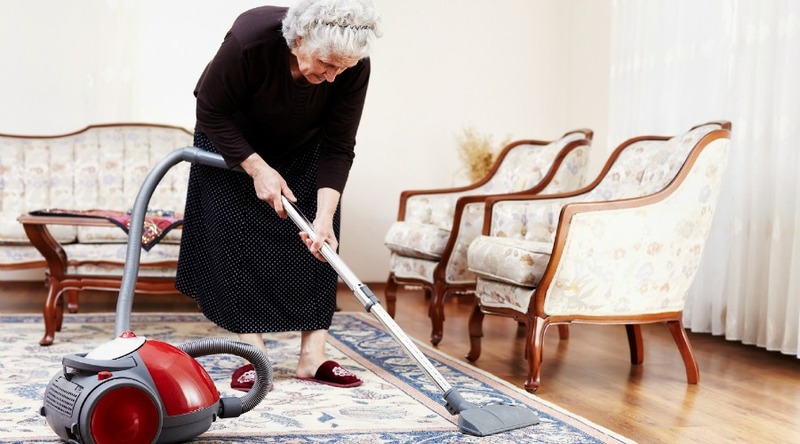 What you may not consider is how much caring for your senior involves a routine spring cleaning of their apartments or home in order to help them stay organized, as well. Oftentimes old photographs, papers and mementos have a habit of accumulating and collecting dust in the basement or attic. But before you begin the process of straightening and systematizing the memories of your loved one, it might be good to sit down with them to discuss why it’s necessary to clear out the things that they may no longer need, while organizing the things that they do. This way, your senior can continue to hold on to their keepsakes and still feel like they have control over what’s most important to them. Plan to divide the time you want to spend cleaning up over several weekends. Determine how the each project fits your senior’s schedule and then decide on a time that works for everyone. Find and file important health and legal documents away before you actually need them. It’s essential that this paperwork be easily accessible for both you and you senior in case there’s ever an emergency. The unfortunate reality of growing older often entails frequent trips to the doctor or hospital. This can lead to the accumulation of prescription drug and medication bottles in the bedroom or bathroom. Old medication should be separated from the new and properly disposed of to avoid potential health hazards. Some bottles or containers may need to be refrigerated, others are fine being stored in the medicine cabinet. It’s also a good idea to place any medicine being used by your loved one, in a dispensers that displays the day and time each dosage should be taken. Look for safety risks and hazardous arrangements around your loved one’s home that could possibly lead to trips or falls. Carpets or rugs without the proper backing and extension cords that are open or exposed, can be dangerous. Be sure to check that carbon monoxide detectors and smoke detectors are working properly. A thorough inspection should eliminate any unnecessary risks around the home. Those of us here at Freedom Home Care believe that this this a time to bond and spend time with seniors. Inviting friends and other family members over to help out with small tasks, can help simplify the process and create lasting memories that can be shared for years to come.